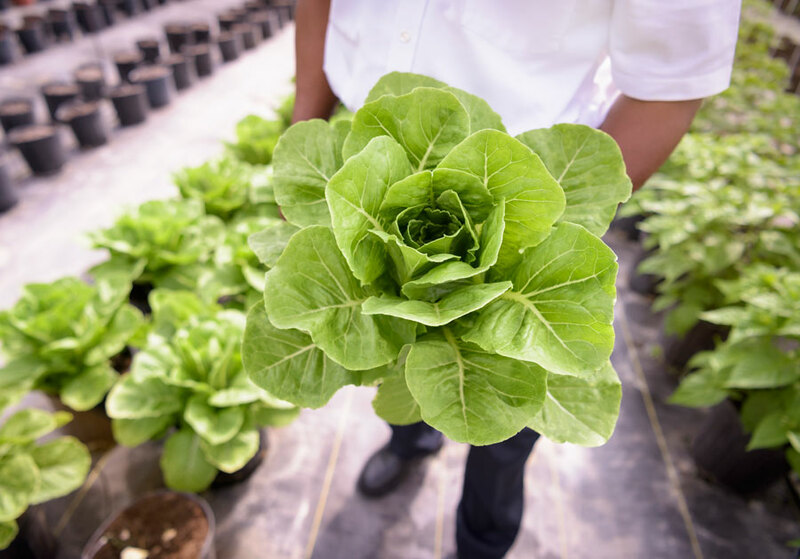 The American Food and Drug Administration (FDA) have identified at least one source of a recent E. coli outbreak in romaine lettuce. As reported, a water reservoir at Adam Bros. Farms of Santa Barbara County in California tested positive for the bacterial strain. In response, the Canadian Food Inspection Agency (CFIA) has recalled green leaf lettuce as well as certain cauliflower and red leaf lettuce from the grower. While the cauliflower products are clearly labelled with “Adam Brothers Family Farms” the lettuce produce are not. If you’re unsure if your produce is affected, the CFIA says you should contact your retailer for more information. U.S. regulators say lettuce from outside three California counties — Santa Barbara, Monterey and San Benito — that was harvested after Nov. 23 should be safe to eat. In Canada, cases of illness were reported in Ontario, Quebec and New Brunswick but produce from Adam Bros. Farms was also sold in Nova Scotia, Prince Edward Island and Newfoundland and Labrador. In precaution, Canadian grocers cleared shelves of all romaine well before this official recall. According to the Public Health Agency of Canada (PHAC), most people who become ill from an E. coli infection will recover completely on their own. Symptoms include nausea, vomiting, headache, mild fever, stomach cramps and diarrhea. Serious symptoms, or those that persist after five to 10 days, should be addressed with a health care professional. In rare cases, someone may develop life-threatening symptoms, including stroke, kidney failure and seizures, which could result in death. Those most at risk for complications are pregnant women, those with weakened immune systems, young children and older adults. It’s estimated that 20 to 30 per cent of E. coli poisoning is caused by contaminated vegetables — and most often it’s lettuce and other leafy greens. One of the reasons those greens are so good for us — high water content — also makes the crop more vulnerable. “You can get contamination from animal production facilities, it gets into the sediment, it gets into the water, which gets irrigated onto the crops, which are then harvested within 40 to 80 days,” Keith Warriner, a microbiologist specializing in food safety at the University of Guelph, told the CBC earlier this month. As reported, produce can also be exposed to the bacteria from birds flying overhead or other animals walking through fields. And it’s no coincidence that raw produce poses the most risk. Cooking kills E. coli and other bacteria. Well, it’s included in the PHAC recommendations to reduce risk, as is thoroughly rinsing even”pre-washed” packaged greens with cold water. The agency warns against soaking leaves in a sink full of water as that could lead to contamination from bacteria in the sink itself. Fruit and vegetable cleaners can give one an extra layer of comfort, but good hygiene may not be … well … quite good enough. To date, there have been 27 confirmed cases of infection in Canada and 57 in the U.S.